Welcome! welcome!! welcome!!! Hope you're having a great week so far. I have a new video on YouTube (totally unrelated to hair talk but a very funny video), click here to watch. 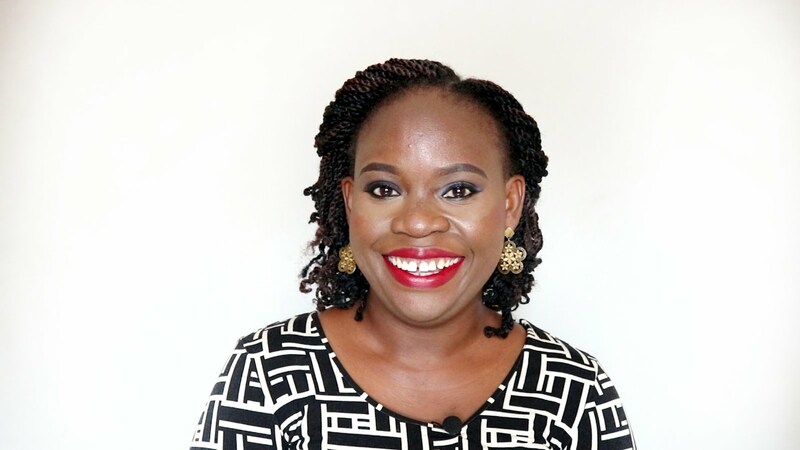 Last week I gave you a background to what inspired me to go natural and my natural hair journey (Click here to read). 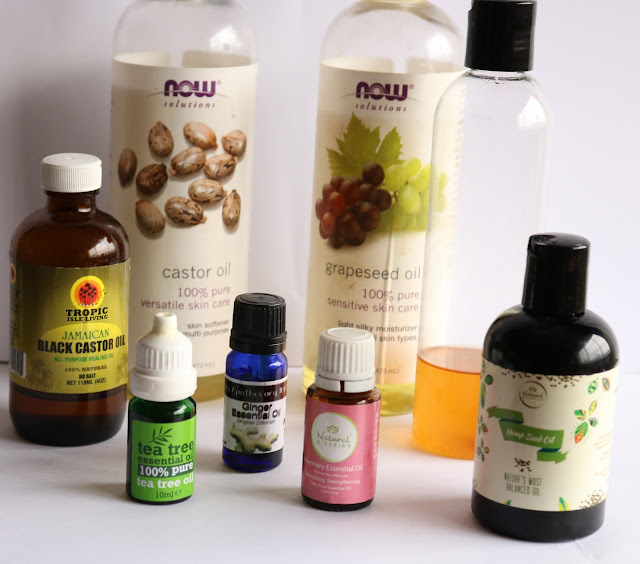 In this post, I share my personal experience on how I care for my natural hair, products I use and my biggest challenge with my natural hair. So ladies, to the gist. First thing I did was 'Ask Google: how to care for natural hair' and Google came through with loads of information that have been so helpful. I did a lot of reading, I read hair blogs (I tell you which ones here) and watched tons of YouTube hair tutorial videos. So from the beginning I had a good idea of how I wanted to care for my hair. 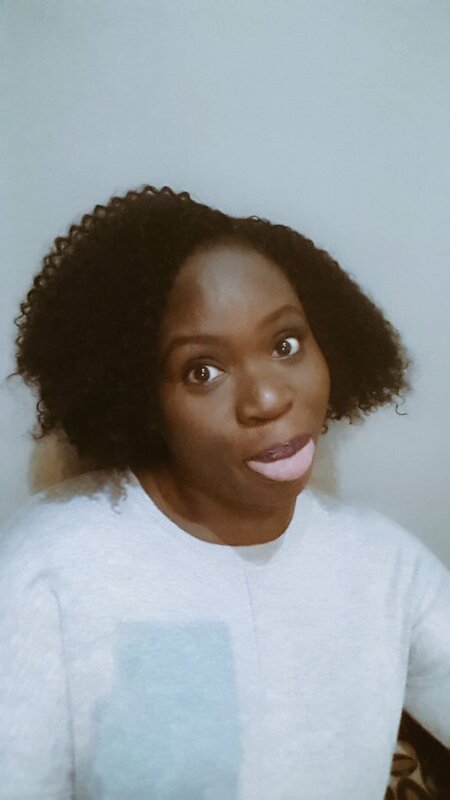 I quickly found out the issues I had with my hair before my big chop (breakage and thinning edges) and how to care for my hair to avoid such problems with my natural mane. 2. I established a hair care routine. I started right from after my big chop, I didn't wait till my hair was longer or fuller. 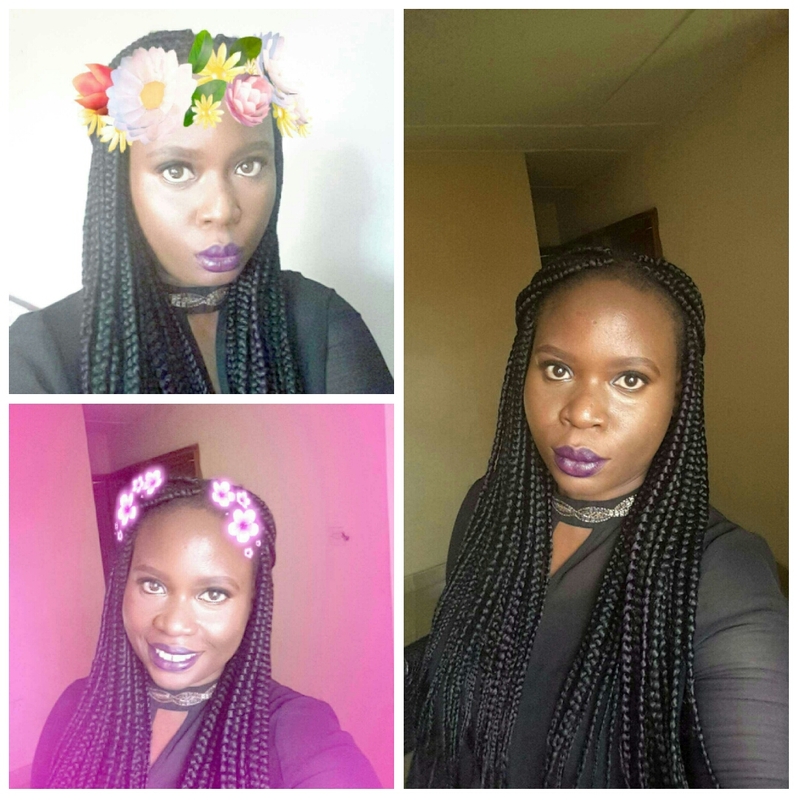 Let me take you through my hair care routine. WASH DAY: I designate 2 days a week for washing my hair. I have the mid-week wash (Wednesday) and the weekend wash (Saturday). Mid-week wash day is for co-washing (washing ones hair with conditioner ONLY). Weekend wash day is for shampoo wash. I also deep condition my hair after shampooing. I wash my hair with shampoo twice a month i.e 1st and 3rd Saturdays. The other weekends i.e. 2nd and 4th Saturdays, I co-wash my hair. i. Mid-week wash: I wash my hair with conditioner ONLY. The first conditioner I bought was the Taliah Waajid Black Earth Products Enhancing Herbal Conditioner. I love this conditioner. It has great slip, smells good and makes my hair so soft. I used it for both co-washing and conditioning my hair after shampoo BUT the bottle size is 8oz so after I saw how quickly it'll finish and how I'll need to buy another bottle (ladies this conditioner no be small money o). I went and got myself a good cheap conditioner i.e. 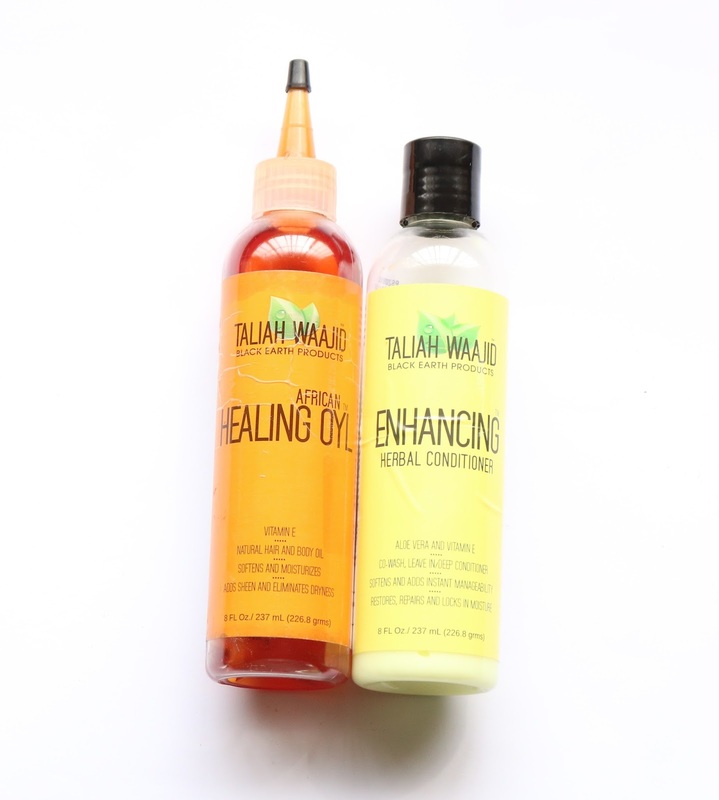 I bought the Argan Oil Conditioner and Alberto Balsam Conditioner for co-washing and use my Taliah Waajid Black Earth Products Enhancing Herbal Conditioner for conditioning my hair after shampooing. ii. Weekend Wash: Before I shampoo my hair, I do a Pre-poo. Read about 'The Art of the Pre-poo...and how to master it' on the CurlyNikki website. Seriously ladies, click the link. Pre-poo is very important as it helps fortify and moisturise the hair against the harshness of shampoo especially if its a sulfate shampoo. I love the coconut oil hair mask (click here to watch a video of how to do the coconut oil hair mask) for pre-poo. I usually pre-poo for 20-30 minutes. - Shampoo: After pre-poo, I shampoo my hair. I shampoo my hair twice a month. 1st and 3rd Saturday. The first shampoo I got after my big chop was the VO5 Herbal Escapes Shampoo. I read about how sulfate (an ingredient in shampoo) strips natural hair of its natural oils and leaving it too dry. I check the back of my VO5 Shampoo and it has sulfate in its ingredients. Eyin temi, my heart just cut. Chai! and I still had a good quantity left so I up my pre-poo game (remember pre-poo fortifies the hair against the harshness of chemicals in shampoo) and begin to look out for a sulfate free shampoo. 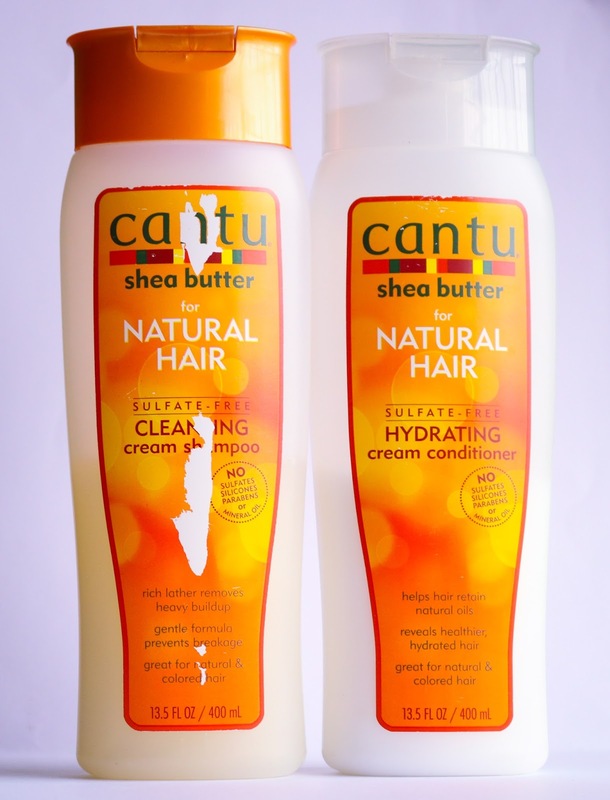 Then I found Cantu Shea Butter for Natural Hair Cleansing Cream shampoo. It's a sulfate free shampoo. What attracted me was the packaging, I love the bright orange colour. I go to YouTube and watch a lot of reviews about the shampoo and decide to purchase it. Ladies, I love this shampoo. It's sulfate free and a little product goes a long way to cleaning the hair. E dey lather well well. I gave the VO5 shampoo to my cousin who has relaxed hair. 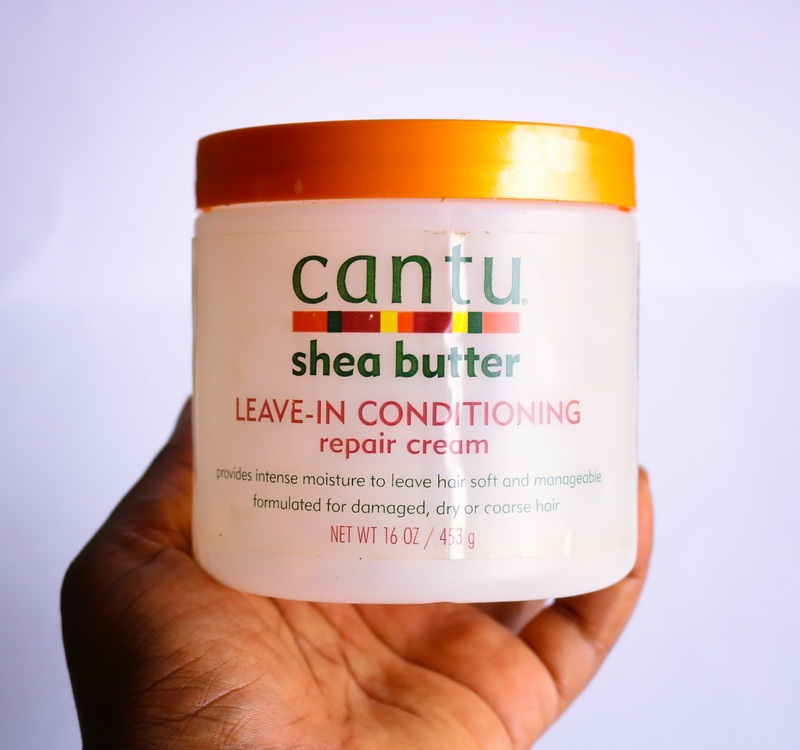 - Conditioning: I also purchased the Cantu Shea Butter for Natural Hair Hydrating Cream Conditioner. This conditioner has a great smell, slip and leaves my hair feeling soft. 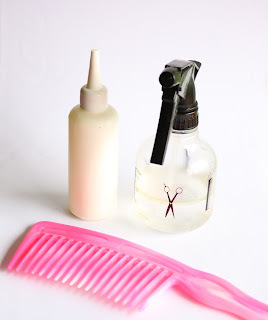 I use the conditioner after shampooing if I used a DIY (do it yourself) recipe for deep conditioning. Let me explain: I deep condition my hair after shampooing to replenish moisture and strengthen my hair. I use brand deep conditioner (Cantu Shea Butter for Natural Hair Deep Treatment Masque) 1st Saturday and then a DIY recipe 3rd Saturday. I do a protein DIY recipe every 6 weeks (egg is the main ingredient in my protein DIY recipe). 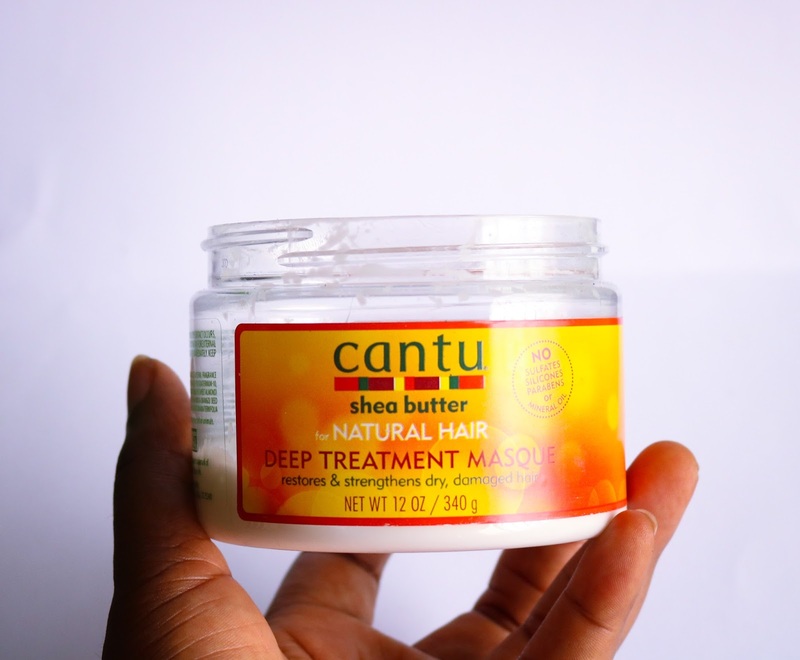 When I use a brand deep conditioner i.e Cantu Shea Butter for Natural Hair Deep Treatment Masque , I use it after I shampoo my hair. I leave it for 20-30 minutes and then I rinse it off with cold water (I don't use a regular conditioner here). - Detangling: I think I have fine natural hair (not sure yet) because detangling isn't a nightmare for me. I usually detangle my hair with regular conditioner or just detangle when I apply deep conditioner to my hair. - Tea Rinse: I also do the tea rinse. I use black tea. I boil hot water, put 2 tea bags in it and leave it cool. Once it's cool, I use the tea to rinse my hair. It works against breakage and shedding. I do not do the tea rinse on all wash days. 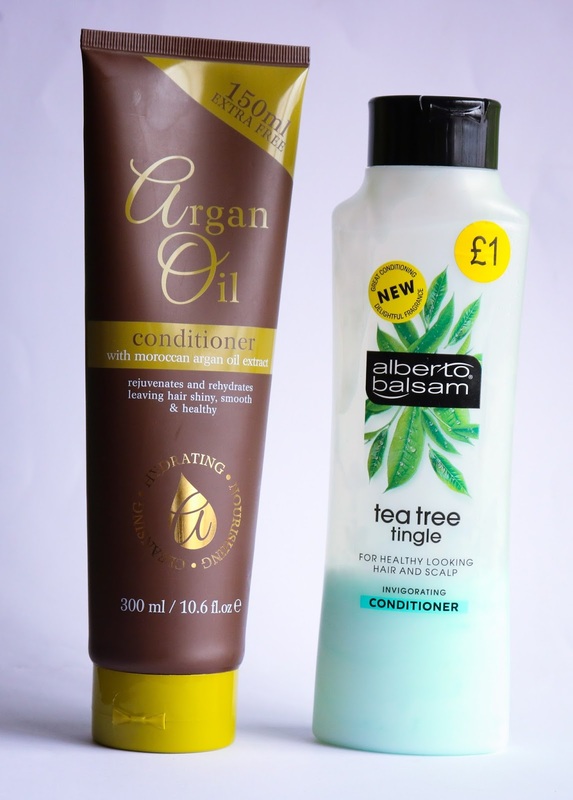 - Moisturise: Natural hair need moisture to thrive and grow. To moisturise my hair, I do the LOC method i.e. 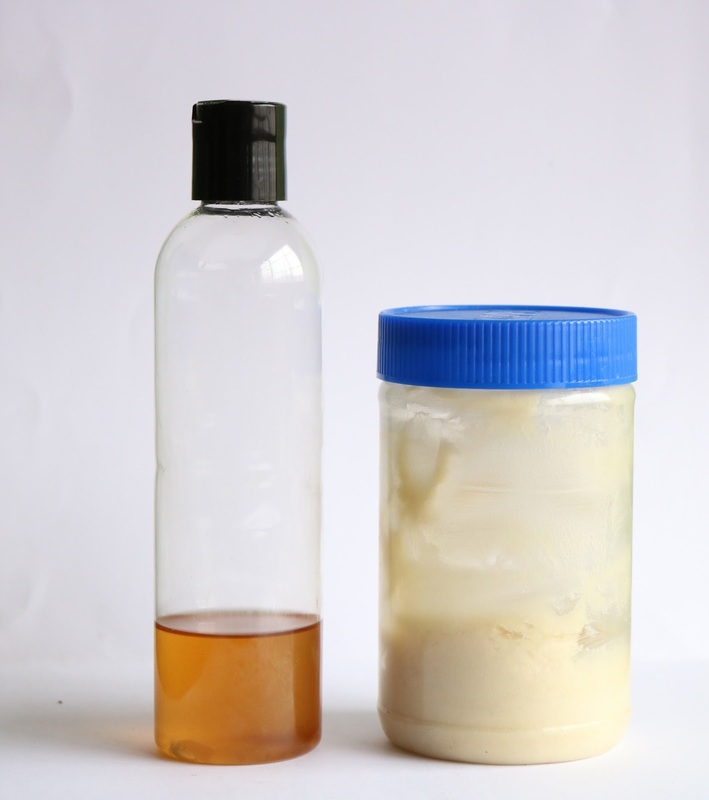 Liquid,Oil and Cream method. The Liquid adds moisture to the hair and the Oil and Cream seal in the moisture to work it's magic. My hair is so soft and manageable and easy to style. (Please note here that Oil doesn't provide moisture to the hair, I say this to those of us who rub oil or petroleum jelly or sheen spray on our hair when it's dry). For Liquid, I mix water and a little coconut oil in my spray bottle and spritz my hair with it OR I just pour water on my hair in the shower. Remember I told you here that water is bae. The whole weekend wash day process usually lasts for 1-2hrs because of prepoo and deep conditioning. So I schedule other activities during my wash day like reading a book, cleaning my room or writing a blog post. 3. I looked out for inexpensive ways to care for my hair. You can see water in my spray bottle. I bought my applicator bottle for 200naira. It's the bottle for a weave-on oil product. The cheapest applicator bottle I have seen is 1,400naira. I got my 1st spray bottle as a free gift and then bought the second one for 300naira. I read that satin pillowcase is better than cotton pillowcase for healthy hair. I saw satin pillowcase on an online hair store for 2k (for what!). I went to the market and bought a yard of satin for 500naira and sewed my pillowcase for 200naira. 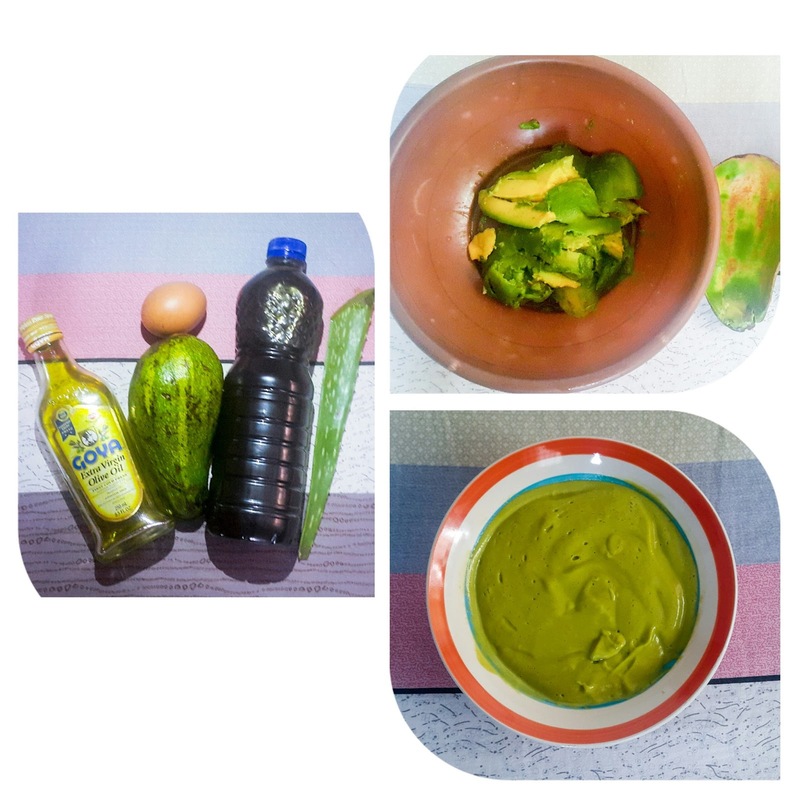 I learnt how to make coconut oil (find out how here) because I really love it for my hair and skin. I'm trying to explain that I'm always looking for inexpensive ways for care for my hair, no need having long hair and no money in the bank. One has to be smart in this Buhari government. 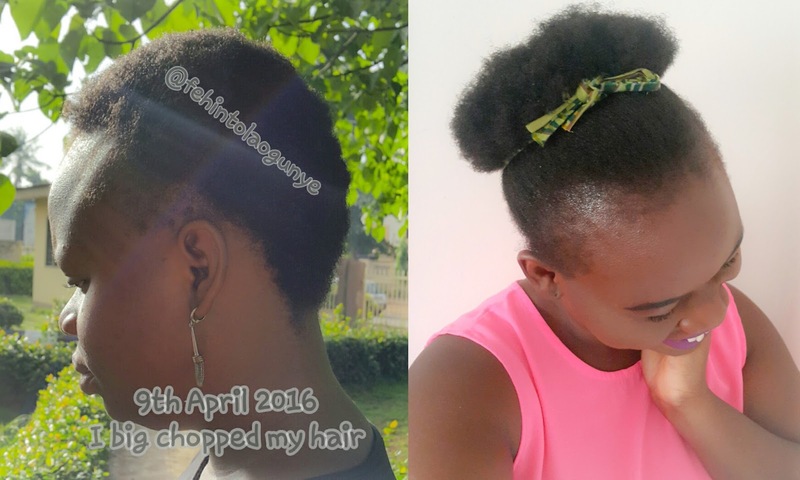 My biggest challenge is styling my natural hair. I talk about it here. I put my hair in protective styles i.e. braiding my hair or fixing a weave on. I also do low manipulation styles like twist out and cornrows. My fave style is the pineapple, I just pull my hair toward my crown and that's it. I'm not very good at styling my natural hair especially the kind you watch on YouTube. 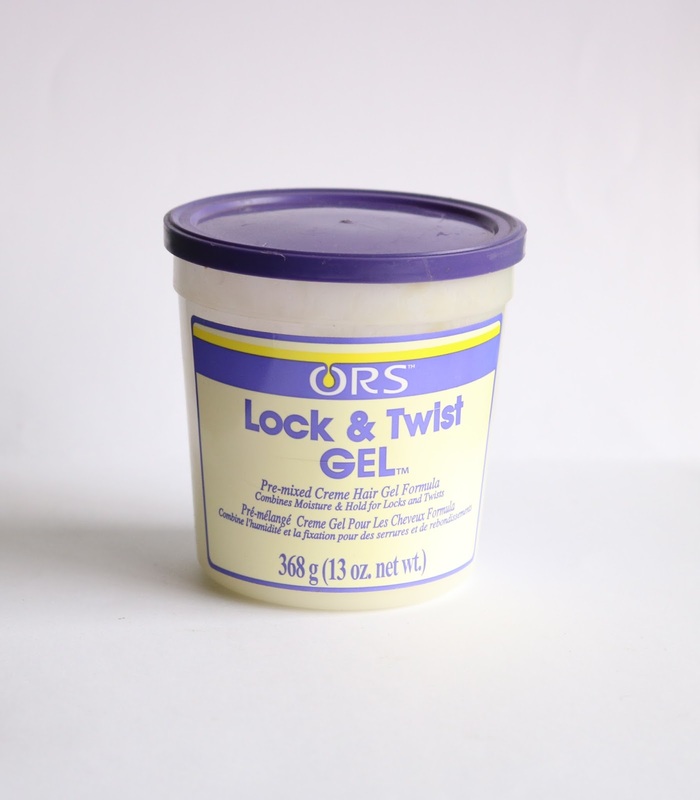 The only styler I own is the ORS Twist and Lock Gel (it's super affordable) and it took me 6 months before I started using it. So ladies, this the gist of how I care for my natural hair. If you have any questions, please leave it in the comments. I'll be glad to answer. Remember all I have written are from my personal experience and extensive reading of articles online. For me all I do is wash and moisturize. I try in as much as possible not to stress my hair and I eat well.